Kia will introduce a new sports car by the end of the decade, according to the brands UK president Paul Philpott, and it will be ‘affordable’ above anything else. There are currently limited details surrounding the car due to it being in very early stages of development and it still remains unnamed. 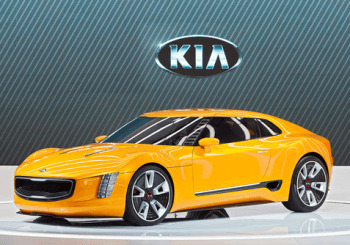 However, it is believed that Kia will use their knowledge gained from both the GT and Stinger GT4 concepts that were both well received and admired to influence this new sports model in both design and engineering. It will be interesting to see how those influences are portrayed on the new model as Philpott stressed to British car magazine that the model will be original and not based on any other Kia product. Speculation suggests that the new affordable concept could follow the template created by Toyota by creating a modestly powerful, rear wheel drive vehicle with futuristic styling and striking features, as seen on the GT4 Stinger on its debut. Due to this move towards stylish sports cars, the US market will play a key role in the cars success, including its design, and a worldwide release would be required to make its production numbers viable. After a slow period of few new models being introduced, with only the new Sorento being introduced this year, it seems Kia now aim to present a number of new models to the market as numerous existing models reach the end of their six year life cycle. As well as this sports concept, Kia also gave a nod towards a B- segment crossover that will be introduced in the not too distant future that could rival the Nissan Juke, which was hinted at with the Provo concept in 2013 at the Geneva motor show. Philpott also revealed that an all new generation of Picanto city-car will be released sometime in 2017. He stated “we’ll do it right and be a force to be reckoned with”. It seems the Korean brand really are kicking things up a gear and creating a new generation of cars that tick all the boxes! If you’re interested in a Kia model, then take a look at our full Kia range available from our Howards Kia Weston-super-Mare dealership.